Prince & Sons, Inc. is a general contracting firm founded and operated in Durham, NC. We provide the best experience for our clients through efficient project management and attention to detail. We are committed to making the construction process an enjoyable and exciting experience from the conceptual phase through completion. We incorporate modern technologies such as 3D modeling and CAD-based systems into the preliminary stages of our projects as well as maintaining up to date schedules that can be seen by our clients. These modern technologies minimize unforeseen problems throughout the duration of a project. While shopping the market for a general contractor, it is important to first recognize if the project will truly require the services of a GC. 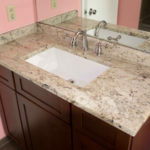 A homeowner will typically hire a general contractor if the project is large enough that it requires the coordination of many different trades or if the project is complicated and expensive enough that they will want a knowledgeable representative to ensure that their job is being executed properly with their best interests in mind. An example of this would be bathroom or kitchen renovation. A general contractor will accept the responsibility of negotiation of prices with all trade providers. They will undertake the preparation of construction plans, obtain permits, complete the loose ends that fall outside of a specific tradesmen’s task, and procure proper, quality materials. They will also ensure that construction debris is properly disposed of, schedule inspections and communicate with inspectors, all while maintaining job site safety and cleanliness to the client’s standards. This requires competency in a wide variety of applicable knowledge that the average homeowner may not possess or have the time to invest in learning. Hiring a GC does come at an additional cost, so it is important to recognize if your project will require these services. Undertaking a large-sized project can be overwhelming and unnecessarily stressful to the homeowner. Hiring a general contractor to manage the project allows the client the freedom to focus on the end result. Having one person, the general contractor, to communicate with eliminates any important omissions that may be overlooked. Clients often will find the investment to be worth every penny by the time a project is complete. Please consider Prince & Sons, Inc. for your upcoming project. knowledgeable, reliable, reasonably price, and fast! I contracted Prince and Sons to paint and make repairs to our house prior to selling. They were honest, knowledgeable, reliable, reasonably price, and fast! 1968 home (with both gable and flat roofs). Mr. Prince replaced my roof for me last year. He worked with me to figure out the best solution for my 1968 home (with both gable and flat roofs). How Much Does the Average Kitchen Renovation Cost? Our family decided to do a major kitchen remodel in early 2017, which also involved moving our laundry upstairs, and putting down new floors throughout our entire residence. After interviewing four licensed contractors, we quickly decided on Prince and Sons. We felt far more comfortable with Mr. Prince and his sons, Patrick and David, than with anyone else we talked to. As soon as we met them, we felt that they were consummate professionals, highly knowledgeable, and above all, honest. They made us feel completely at ease. Mr. Prince and his sons listened to our ideas, answered our numerous questions, and worked patiently with us to create our dream kitchen. They were also completely content to work within the constraints of our budget. We appreciated that there was never a feeling of “upselling” at all. In fact, suggestions were made that helped us actually save money. Communication with this group can be described as nothing other than outstanding. My friends who have undergone similar projects with other general contractors were actually jealous when I told them about the Google Calendar used by Prince and Sons to keep us updated on daily goings on with the project. Work was completed in a timely manner. We had an issue with a flooring subcontractor that was selected by the floor group. When our floors were installed poorly, Mr. Prince continued to fight for us and made the subcontractor take up every piece and re-do the entire floor throughout our house. We were so grateful that he was in charge and was there to ensure that the job was done right. Mr. Prince, Patrick, and David are all highly professional, courteous, and just an all around pleasure to do business with. I suppose the highest compliment we could pay is that just last month we hired them to remodel another kitchen and direct the renovations at a new home we just purchased! As analytical as my husband and I both are, we both knew that we wanted Prince and Sons to do the work. For the first time in our lives, we didn’t get the standard “3 quotes.” We cannot recommend Prince and Sons highly enough! Prince & Sons renovated my kitchen with new granite countertops, backsplash, and LED lighting under the upper cabinets. They worked with me and suggested a place to go to pick out my materials. Then they contacted the business and worked directly with them on measurements and what amount to order. I went on vacation for a week and during that time, they had a key to come into my house and work while we were gone. I trusted them 110% to work and lock up when they were done for the day! They sent me pics of the progress. They did a fantastic job! I couldn't be more pleased with the work they did! If you are in the market for a general contractor, Prince & Sons are the ones to hire! You won't be disappointed. They even cleaned up before they left and when I got home from vacation, I was so excited! My new kitchen was ready to cook in! Hire these guys!! You won't be disappointed!! I've worked with Ben, David & Patrick on a number of jobs over the years. These guys are consummate professionals and are well versed in all aspects of construction. I highly recommend Prince & Sons if you're looking for a reputable general contractor that will treat you right. Ben Prince and sons David and Patrick have, at various times, performed major remodeling of our kitchen and one bathroom, as well as resurfacing our deck and doing a lesser remodeling of the other bathroom. Whether dealing with unfamiliar technology (underfloor heat) or the most prosaic materials (wallboard), they have invariably taken pains to ensure that the design was what we wanted and to perform the work to the highest standard.